I used a couple of Rope-ties to rig my Monitor windvane. I think they will work so well that I plan to contact Monitor and suggest they include a couple of Ties with their windvanes. 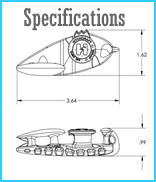 Love your product – My recent application – I replaced my one inch nylon Bimini Straps with the Hitchcraft Mini and parachute line. Easier to adjust and they don’t hum in the wind like the straps. You can just feel this is one of those products that exude simplicity – and works as claimed. I’ve only setup the hammock a few times but quickly discovered how difficult adjusting two knots on opposite ends can be. The RopeTies make this so incredibly simple and fast now. Good luck with selling this very neat product. I hope to show it off to friends and new acquaintances as I travel about this summer. Oh, and thanks very much for the easy and fast purchase to delivery process. I was surprised to receive the product so quickly. They work exceptionally well, very easy to setup and adjust on my Speer hammock. I’ll be getting more for the other hammocks I’m making. I’ve just received and tested your ropeties. They’re incredibly simple to use and worked like a charm the first time and every time I tried them out in conjunction with my hammock under various conditions. Life in the bush just got so much better for me =D Thanks! Normally when I lash the hammock I have to sit on it to take the slop out and then tighten it again. Then as the night passes the sag still increases. With the HitchCraft, I set it and it stayed right there all night. After years of lashing these things are great. Fast, easy, light and cheap. We have a big tarp protecting our water supply on the Farralones where we will spend the winter studying the sea lion colony – it’s the mating season. We use four RopeTies to keep the tarp lines taut. 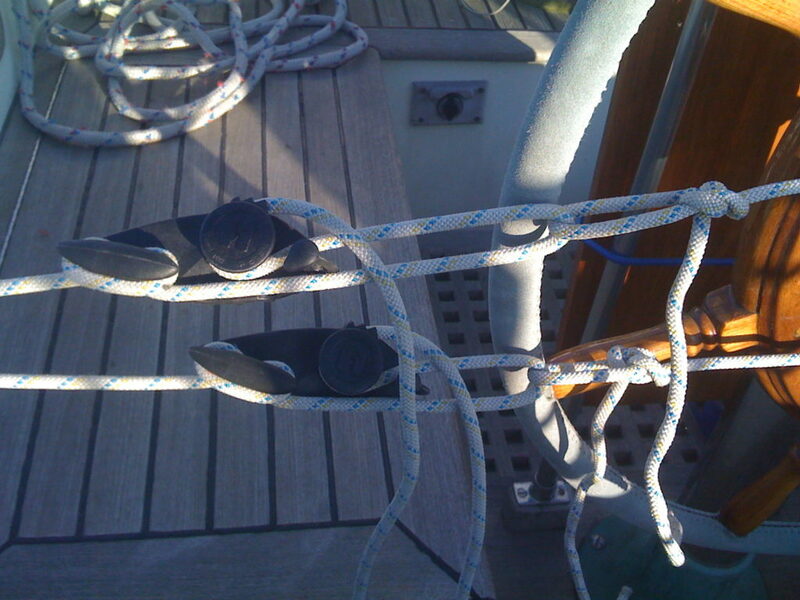 Any knots need to be readjusted all the time becasue of the 40 knot winds that we get all the time. Tensioning with the RopeTie is quick with the 3/1 leverage, and it’s so easy when we need to readjust. Great device, and so simple! It is the responsibility of the user to judge the safety of use conditions and take appropriate precautions. 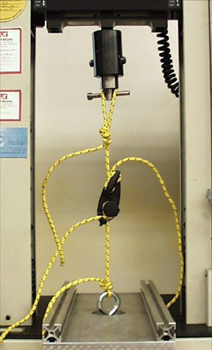 The RopeTie was tested to determine safe loading and a RopeTie that was not damaged or overloaded will not fail if used properly within the specified load limits. However, Hitchcraft LLC is not responsible for damage and/or injury by failure of any apparatus with which the RopeTie is being used. It is the responsibility of the user to judge the safety of use conditions and take appropriate precautions. When considering the possibility of failure the user needs to allow for dynamic loading. In a dynamic situation when the load is subjected to acceleration and impact, as in a moving vehicle, loads can be magnified by a factor of 3 or more. The tie-down system may fail at the rope. 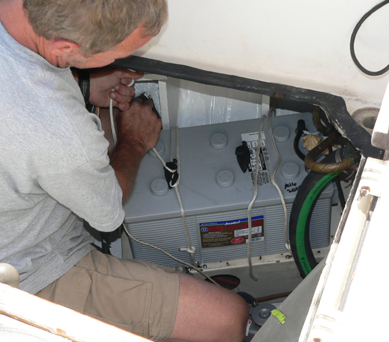 Safe rope loading is generally 20% of the rated maximum load of a rope. 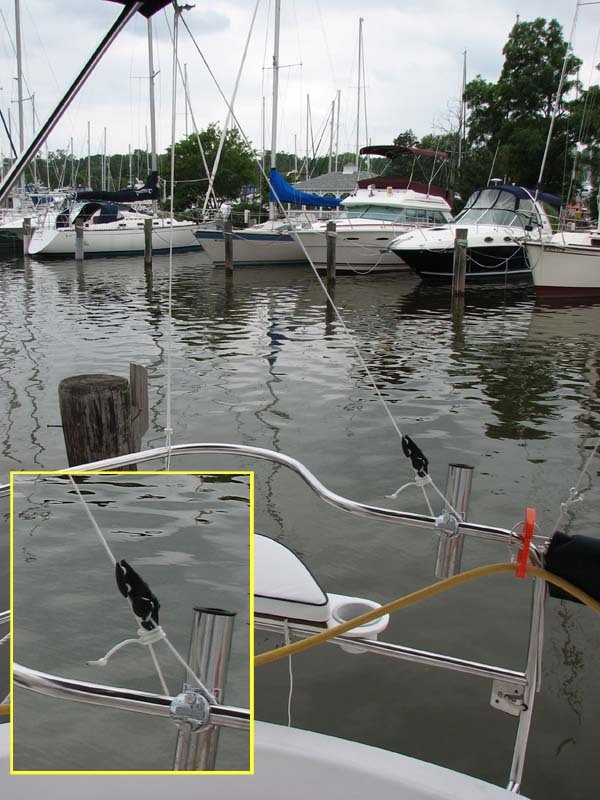 User must beware that ropes deteriorate through wear and strain further reducing their load limit. All these aspects must be taken into consideration when loads are high enough that failure would present risk of injury and/or loss.